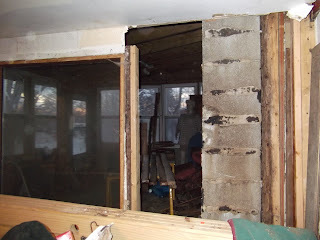 Debris pulled off of wall - will make nice cedar kindling for the new woodstove that will heat this room. Looking at the wall from the inside. 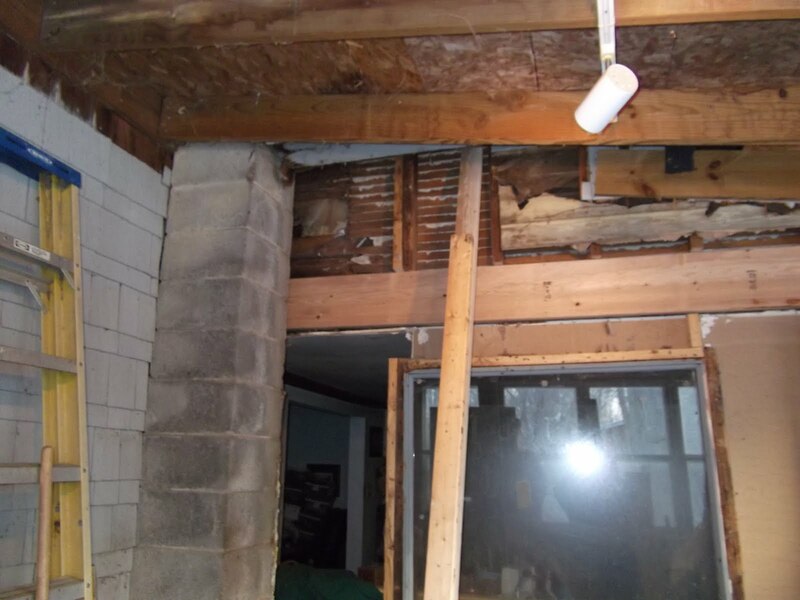 In the upper left, the hole into the upstairs room shows. 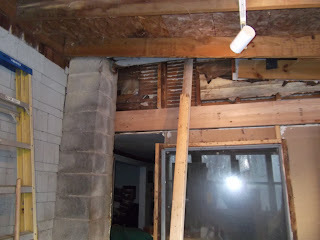 The two by four is holding up the side of the house until some supports are in place. Wall with the new header. 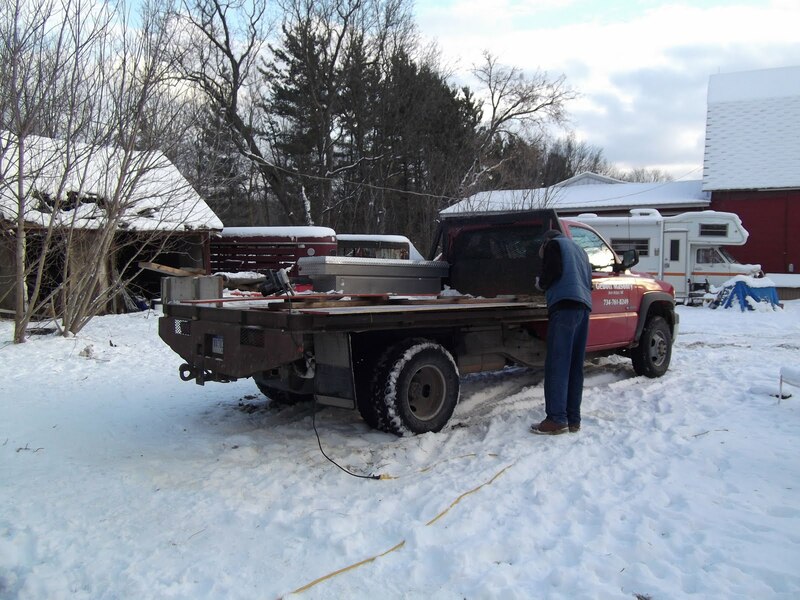 Joe uses his truck bed for a work table. 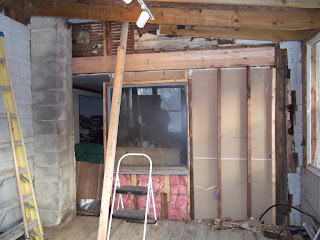 The photos show the progress on my dining room wall. 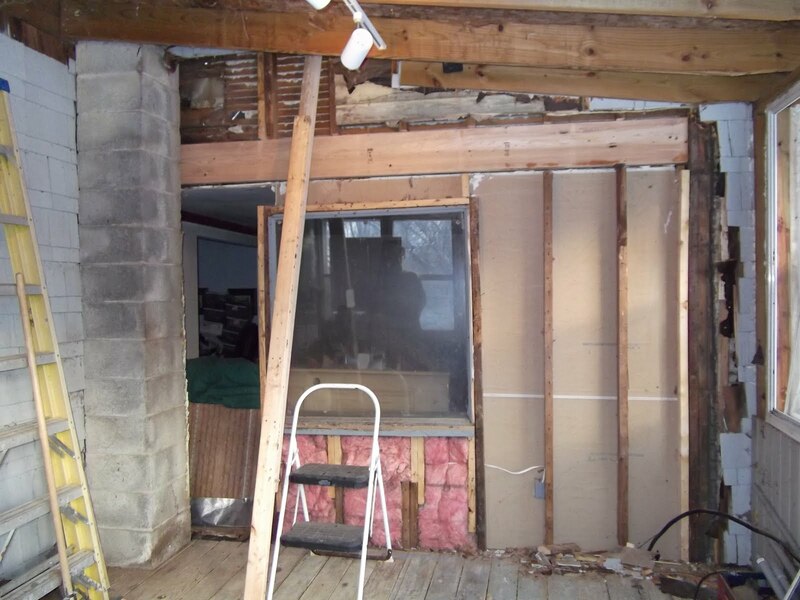 Soon, the window space will turn into a double-door between the dining room and the swimming pool room turned sunporch/woodstove room. Looking at the old wall today I learned that my house has had three outside renovations - first clapboard, then fancy clapboard, then cedar shakes. The cedar shakes were old when I moved to the farm forty years ago - they had at least two, probably three layers of paint on them (20 years per layer, sixty years of paint plus my forty= 100 years for the cedar shakes.) 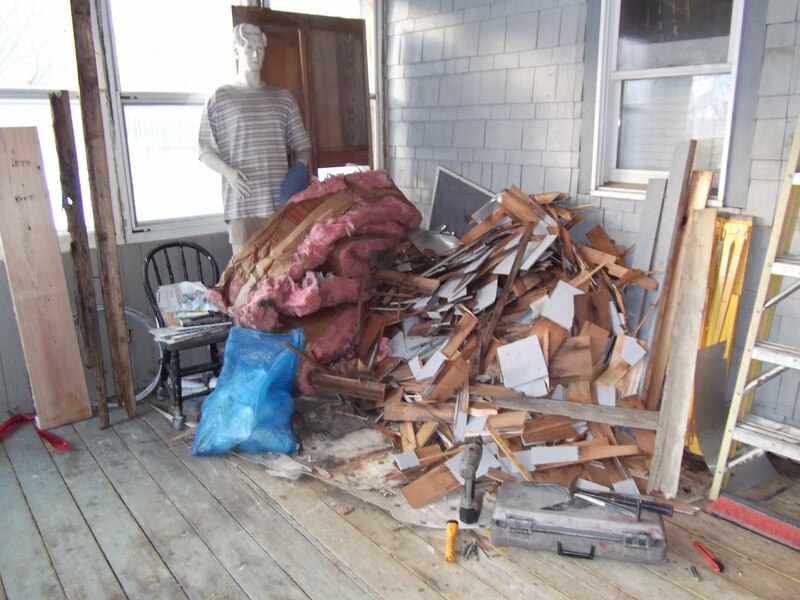 If the first layer of clapboard lasted 30-35 years and the second 30-40 more years, 160 years, we could date the house back to 1835 to 1840, which fits with the sqare, hand-forged nails in some of the construction. Since factory made nails appeared in 1850, I've always dated parts of the house pre-1850 and other parts post-1850 - the post 1850 construction has a mix of hand forged and factory made nails like the carpenter had some new nails added to a supply of older nails. Anyway, if I have to live with a hole in a wall I might as well play amateur archaeologist. Great pictures and a lot of work.